How we have always loved to add a little touch of decorative border. That sweeping thread that sways and bounces with every step. This seasons trends are full of fringe benefits and one might get carried away. Designers on the fringe of this trend include Valentino, Emilio Pucci, Celine, Gucci, Derek Lam, Erdem, J. W. Anderson, Missoni, Rodarte, Calvien Klein and many more. 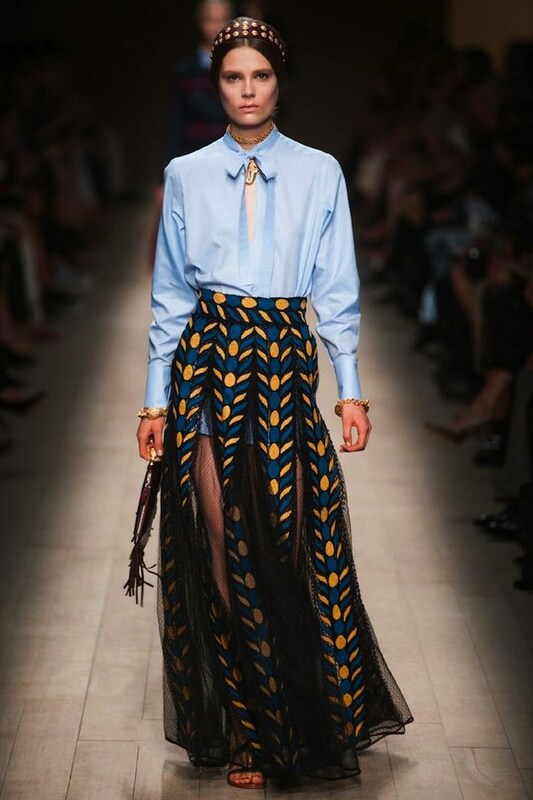 Valentino’s Spring Ready -To- Wear 2014 Collection had a very tribal mystery woman essence behind the beautiful details. Coral and Turquoise bead work and embroidery adorned the garments. Fringes dangling from mystifying capes and sandals were embellished with gold hardware; which made the collection even more detailed orientanted. The models hair was sleek against their heads and wrapped with braids that made them seem like powerful queens. This collection was ethinic, exotic and powerful. Designers Maria Grazia Chiuri and Pierpaolo Piccioli have made a huge ever lasting mark on fashion spectators and the fashion world. The duo found their inspiration in Rome Opera houses and craftmenship at its finest was produced in this amazing collection. Gucci Spring RTW collection felt like it had been spawned from the 80’s and early 90’s era. Mesh tops, iridescent dresses, metallic suits, bright colors and bold prints almost made me have flashbacks. 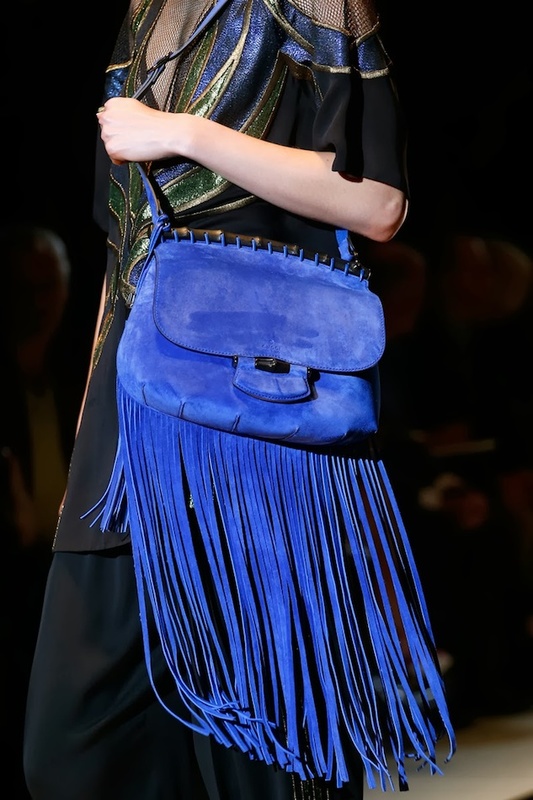 Then I was captured by the bold bright colored leather purses with the swaying fringe. The accessories in this collection defiantly rock and I can see them being worn around towns across the globe. Sea quails soaring and waves crashing across the fabric and tropical vacations playing in my mind as Missoni showed her collection. So many places I could be walking with my feet in the sand wearing a sea quail printed sarong or a flowy sheer dress. A night out strolling in the breeze or watching the night sky on the veranda in this playful black and white fringe dress. The possibilities to mix and match the pieces from this collection are endless and adventure packed. Let’s get our fringe on and have fun this spring/summer. I will be pining to own a piece of Valentino RTW magic, a girl can dream.